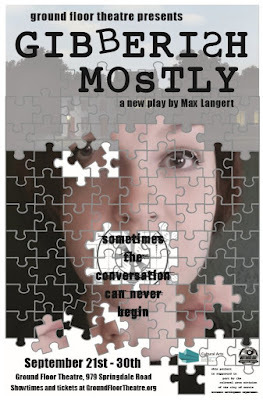 I'm really proud to call such a creative and talented person as Max Langert my friend. Friday evening Chad and I saw Max Langert's new play Gibberish Mostly at the newly reopened Ground Floor Theatre. 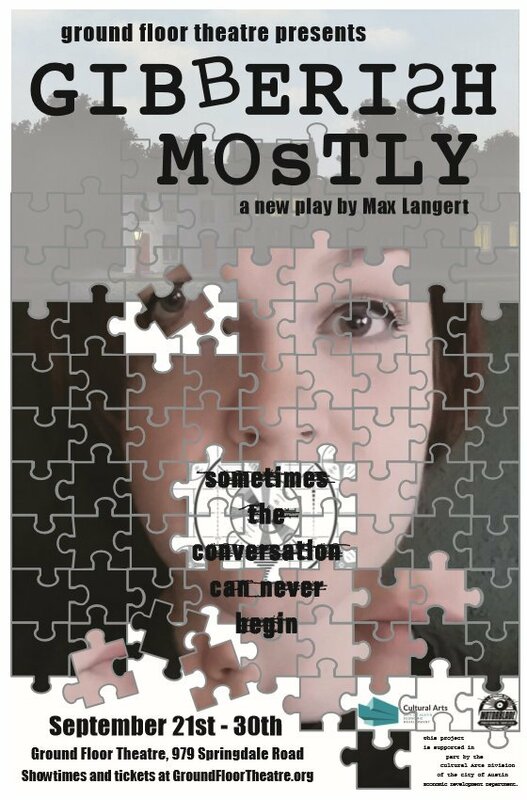 Gibberish Mostly presents a thought-provoking, clever speculation of what goes on in the mind and consciousness of an autistic woman unable to speak intelligibly to her parents. Or is it that her parents are unable to speak intelligibly to her? The set design features an inventive forced perspective of slanted wall lines and door frames making the small set seem much larger. The mirror-image room set design employs no physical wall, instead using different floor color and backdrop color on each side to visually separate the space. This mirroring theme is a thread throughout the play. You can still get tickets to see Gibberish Mostly through September 30 by clicking here. I'm grateful that the Ground Floor Theatre reopened after a 20 month absence. Austin is losing far too many of the performance spaces and businesses that made our fair city quirky and charming. I'm proud to support local theatre, especially Ground Floor Theatre. Conceptualized and performed by Lee Eddy for the 2016 Fronterafest Short Fringe in Austin, this play rightly won "best of fest". I laughed. I cried. I saw this play three different times, and still loved it each time. 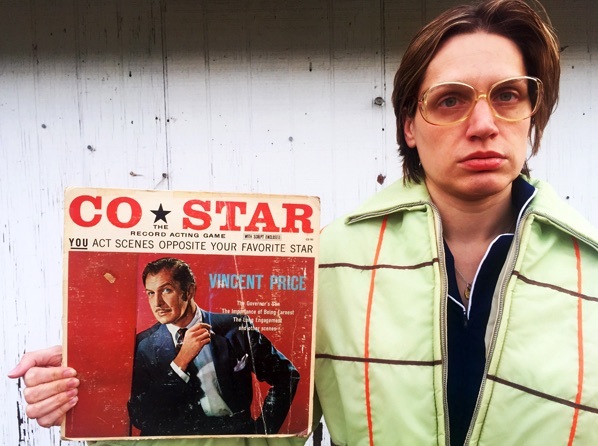 Lee Eddy embodies a character like no one else I know. She brings pathos to even the silliest moments. I really did cry when her character knocked over a beloved houseplant in the midst of "co-starring" with Vincent Price. Genius. YOU act scenes opposite your favorite actor. Directions: 1) Remove script from LP envelope. 2) Turn to any scene you want to play. 3) Place the phonograph needle on the corresponding scene that is on the record. 4) Listen carefully as the narrator sets the scene and the star on this record acts out his part and gives you your cue. 5) When your cue is given, read your lines at the proper pace so that the flow of the scene is natural and realistic. 6) Follow the script but you may add, change or improvise your lines as you wish. REMEMBER! Practice makes perfect. Chad and I saw The 39 Steps in Manhattan on Broadway. By some unknown magic, we scored front row, center seats. Four hardworking actors played about a hundred different characters in this hilarious tale of spy craft with lightning fast pacing, imaginative sets and crazy costume changes. My face hurt after the show from laughing, smiling and gasping so much. 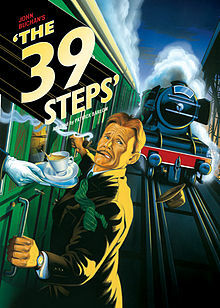 Branded as "Hitchcock made hilarious", 39 Steps is anticipated to return to Broadway in 2018 - 2019. This is the show to see! Chad and I loved this touring show. We saw Circus 1903 in Austin at the Long Center. Read my original blog post by clicking here. 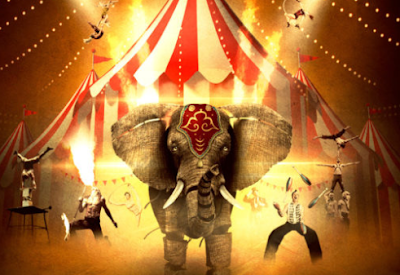 Check out the tour calendar for Circus 1903 by clicking here. Santaland Diaries (the stage show) is based on the essay of the same title by David Sedaris chronicling his time working at Macy's as a holiday elf. The stage show adds some holiday tunes performed cabaret style for good measure. Chad and I have seen this show many times over the years. I personally prefer Santaland Diaries performed by perennial Austin actors Martin Burke and Meredith McCall at Zachary Scott Theatre. That said, I've seen other actors perform the role of Crumpet from Santaland Diaries, and the show is still laugh-til-you-cry funny and snarky. Definitely catch a local performance of Santaland Diaries wherever/whenever you can. Please be warned that this show is decidedly not family friendly. When I lived in Birmingham, Alabama during my elementary school years, my parents took me to see a touring production of the musical Annie. The first, and quite possibly the last, musical I ever loved. (As an adult, I'm not a big fan of musicals. Really? You're going to burst into song? No thanks.) I bought a long-playing record of the show. I learned every word to every song. I retroactively pity my poor parents having to listen to that noise as I readied myself for the imaginary audition when I might win the role of Pepper. I didn't want to be that goodie-two-shoes Annie. I wanted to portray the bad-girl Pepper. 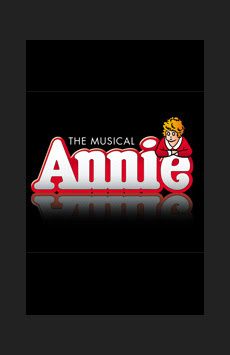 btw: I'm dragging Chad to a movie-party of Annie (the version from 1982) at the Alamo Drafthouse. Send Chad happy thoughts during this difficult time for him. Get out and support live theatre! I acknowledge that live shows can be expensive. Many venues host pay-what-you-wish performances or offer reduced ticket prices for students, members of the military or senior citizens. Check with the venue, you might be able to volunteer as an usher (or in some other capacity) to see a show for free. To BYOP or not to BYOP? That is the quandary. 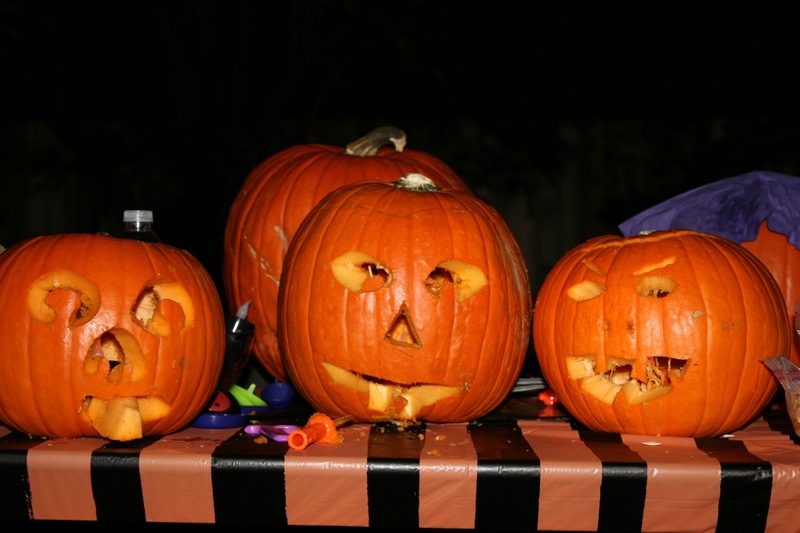 Starting many years ago in my tiny studio apartment, growing in guest list size as my accommodations grew, I have hosted many BYOP (Bring Your Own Pumpkin) parties. A few years I didn't have the energy to host a BYOP party (like the year some rotten ne'er-do-wells kicked in our front door and robbed our house). Hosting this party requires much planning, physical effort, some sweat, a little bit of cursing, a good dose of creativity and a lot of cleaning before and after. I won't lie: some years after a BYOP party I swear that I'll never do it again. It's that tiring. Some years after a BYOP party I feel reconnected to old friends and so thankful for social connections. I perused old pumpkin party pics today in an effort to decide whether or not to host the BYOP party this year. 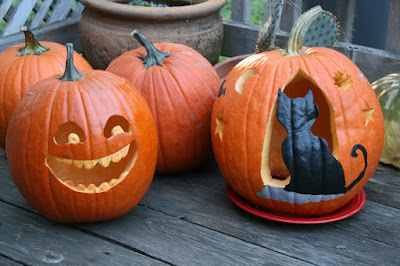 Here are some of my favorites. Enjoy. I worry that our social group and support network are drifting apart. Hosting this party invites all the people we like to reconnect, to strengthen bonds and renew friendships. 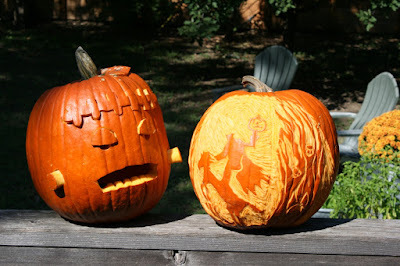 Halloween is my favorite holiday. 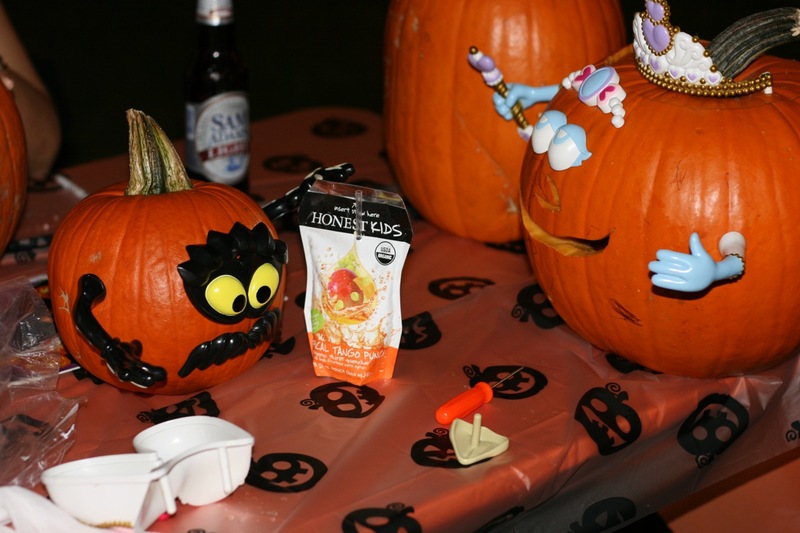 BYOP is a fun way to celebrate Halloween. 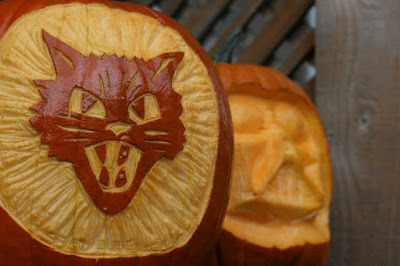 I love seeing the pumpkins people carve, paint, sticker, bedazzle or otherwise decorate. 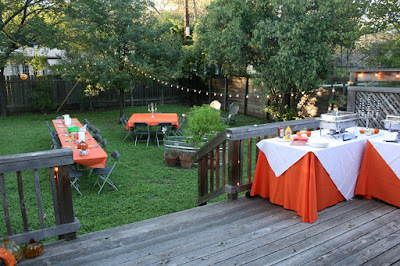 I not-so-secretly love planning and logistics, especially as they relate to parties and decorating. I already have the to-do list, party rental list, grocery list and blueprints from past BYOP parties. October is a busy time in Austin including: both weekends of ACL music fest, children's sports activities, school carnivals, UT football games and various fundraisers. It's so much work to host this party. 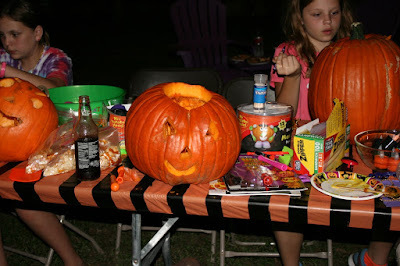 From setting up tables, chairs, buffet, grocery shopping, food prep, pickup from vendors, to struggling to be a gracious host as an unnamed guest lets their children barricade themselves in our home's only bathroom during the party for over thirty minutes, to cleaning up pumpkin guts off of the hardwood floors and rugs. So. Much. Work. 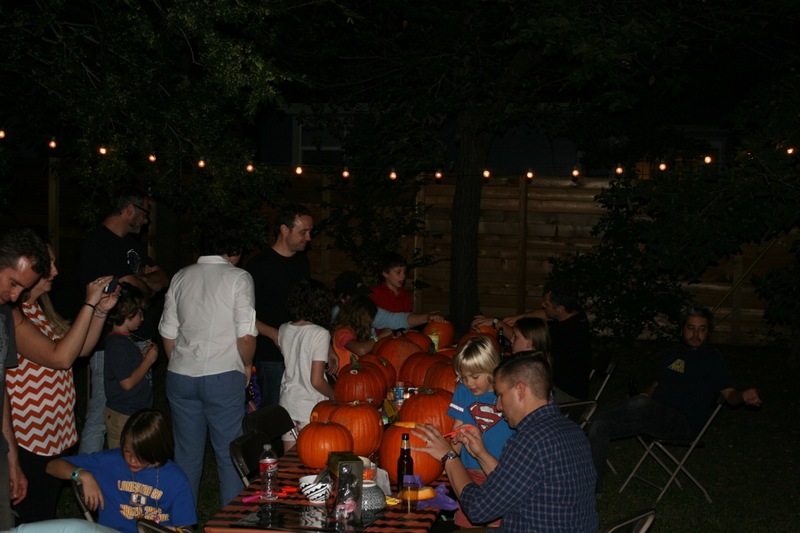 About half of the guests don't touch a pumpkin during the party, despite all the carving tools, stickers, paint and bedazzling supplies I offer. I should simply be glad that every guest chose to attend. But some broken part of me really wants the majority of attendees to decorate a pumpkin. It's kind of expensive. Can one put a price on friendship? No. But this party's budget might shock some of you. Good weather is not guaranteed. One year it rained really hard during the BYOP party. 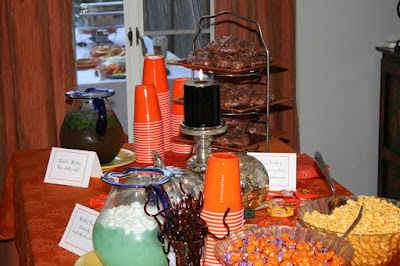 We moved the buffet tables inside and relocated the pumpkin decorating stations to our carport. Despite our best efforts the party was kind of a bust.